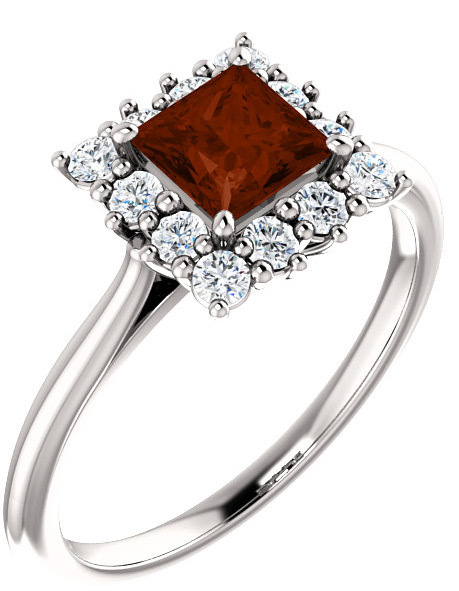 You'll feel like a real-life princess every day with this genuine princess-cut red garnet and white diamond halo ring crafted in solid 14k white gold, from Apples of Gold Jewelry. The center gemstone is a high-quality AA Rated gem measuring 5mm x 5mm in size and is surrounded by a halo of 12 diamonds weighing a total of over 1/3 carat (0.36 carats). 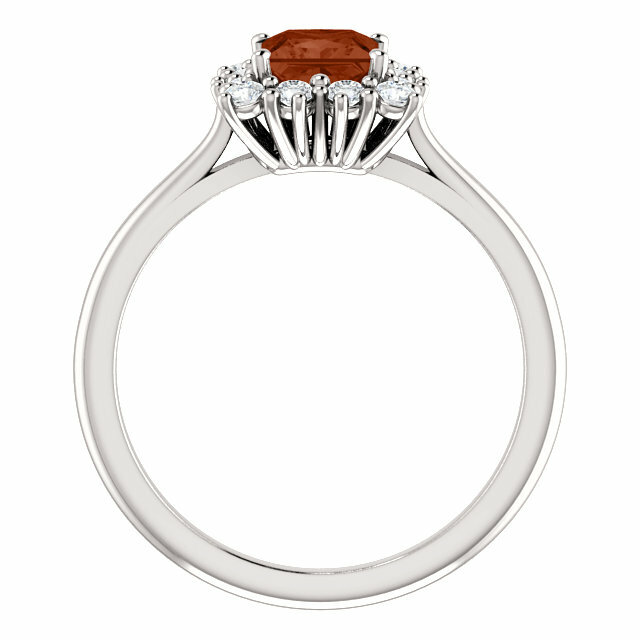 We spare nothing to create a ring that will endure, including using only G-H Color, SI1 clarity white diamonds. This ring is so beautiful, you can wear it on its own or even transform it into garnet bridal wedding ring set with our matching 14k white gold curved band (shown below). 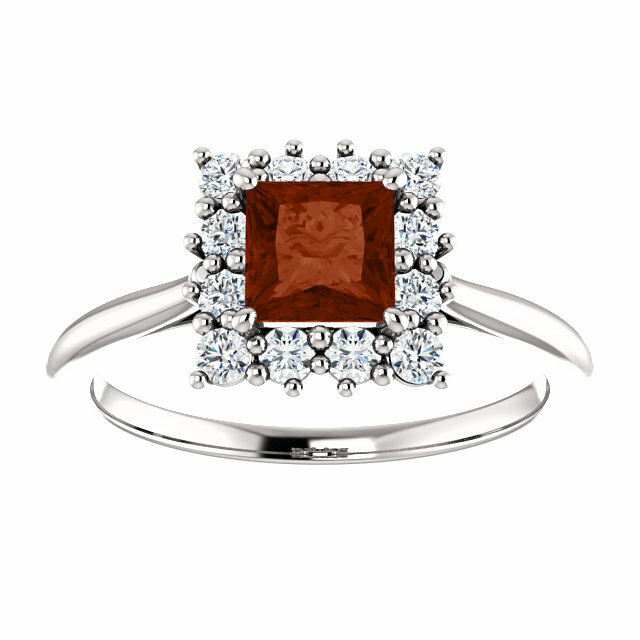 We guarantee our Princess-Cut Square Garnet and Diamond Halo Ring, 14K White Gold to be high quality, authentic jewelry, as described above.